Breakstone, White & Gluck couldn’t agree more. We will be attending for the third year. 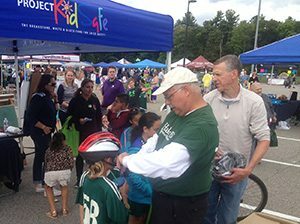 Stop by and say hello to Attorney David W. White at our Project KidSafe tent. David will be answering safety questions and sharing information about our Project KidSafe campaign. 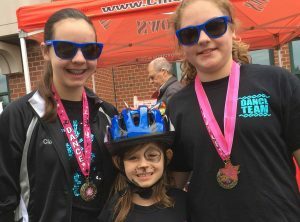 Over the past four years, Breakstone, White & Gluck has donated over 10,000 bicycle helmets to children in Massachusetts, with a goal of protecting young cyclists from serious head injuries. 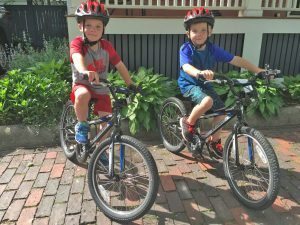 Under Massachusetts law, cyclists 16 years old and younger are required to wear helmets, but many children do not and are at risk. We are donating an additional 4,000 helmets in the Boston area in 2017, all through community organizations. 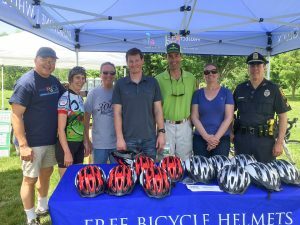 Many helmets will be donated in the city of Boston, including through the Boston Police Department and Boston Bikes’ Roll It Forward, a city program. 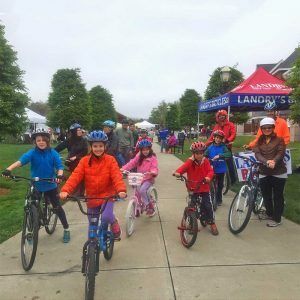 The Bike to Work Day Festival is part of Bay State Bike Week, a statewide lineup of cycling events which began May 13. Events continue through Sunday, May 21. For the 23rd year, cyclists can compete in the MassCommute Bicycle Challenge. Cyclists who log their miles each day are eligible for daily prizes. Cyclists can compete individually or on teams organized by employer. The goal is to count just how many miles cyclists are logging. Last year was a record breaker, with 156,285 miles traveled. 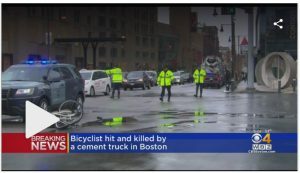 If you can’t participate, we still encourage you to check out the MassCommute Bicycle Challenge website. Harvard Bicycle Appreciation Breakfast. Cyclists traveling through Cambridge can stop in at the Harvard Bicycle Appreciation Breakfast at Dudley House Plaza. Event starts at 7:30 a.m. and cyclists are asked to RSVP. Seaport Common Bike Tune-Up. 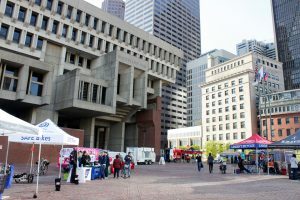 In Boston, cyclists can take advantage of free bike tune-ups at Seaport Common starting at 7:30 a.m. Tune-ups are on a first come, first serve basis and the event is organized by the Seaport TMA, a nonprofit transportation management association. Bike Breakfast. Bike commuters are also invited to stop by for a light breakfast and refreshments at the MassDOT building at 10 Park Plaza in Boston. Event starts at 7:30 a.m.
Cambridge-Lexington Bike Caravan. If you are new to bike commuting, this is an event for you. 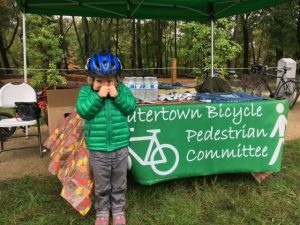 The event starts at 1 Kendall Square in Cambridge at 7:30 a.m. Cyclists will commute down the Minuteman Bikeway to Somerville, Arlington and Lexington. Waltham Night Ride. Join this short ride in Waltham, starting at 8 p.m. at Waltham City Hall. Minimal lights will be distributed to participants who need one for a $5 donation. We hope you can participate in an event this week. Over the past few years, Boston has seen a tremendous surge in bike commuters. According to 2015 US Census data, the number of Boston residents who regularly commute by bicycle more than tripled in a decade. Some 8,100 Boston residents pedaled to work in 2015, compared to 2,300 in 2005. 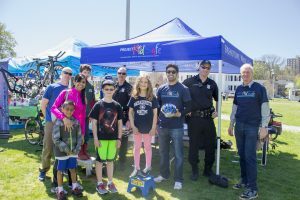 Bay State Bike Week provides cyclists a good opportunity to learn more about safe riding. Breakstone, White & Gluck was proud to partner with more than a dozen police departments in the Boston area during our 2016 Project KidSafe campaign. 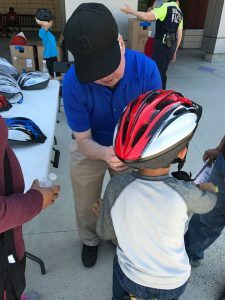 During the first three years of our campaign, police departments provided critical support in helping us give away children’s bicycle helmets. This year, we expanded our police donations to help protect more children and reach more families. Our partners, Marc L. Breakstone, David W. White and Ronald E. Gluck, thank police departments for helping us give away more than 1,500 helmets in 2016. Our attorneys have now donated over 10,000 helmets to children since 2013 and we owe much to the support of local police officers and departments. The police departments did a great job this year. 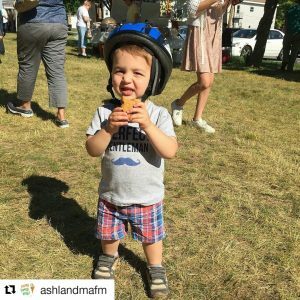 Some departments organized bike rodeos and gave away bike helmets. Others gave helmets away one at a time to children who needed one. 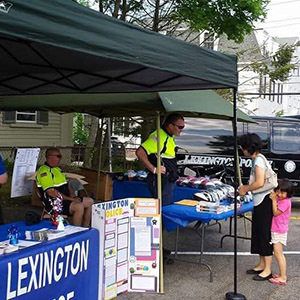 Others, like Framingham, Lexington and Somerville, dispatched officers to help fit helmets at community events. For several years now, Somerville Police Officer Marianne Manfra has participated in two events in June. With her help, we reached more than 400 children in less than two weeks last Spring. 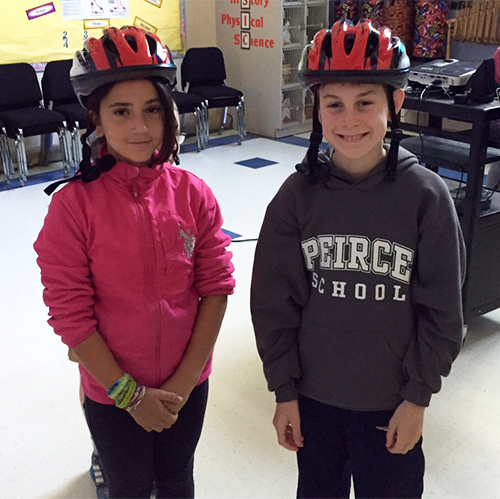 Read about our Somerville bike helmet donations. 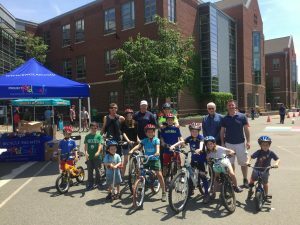 Cambridge Police Department incorporated the donation into their National Bike Safety Month activities, by announcing a helmet voucher program. Please check out our photo album and read more about our 2016 Project KidSafe campaign. 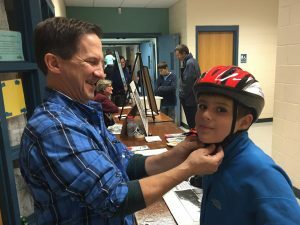 Attorney Reza Breakstone, Framingham Police and the Framingham Bicycle and Pedestrian Advisory Committee fit helmets for children at Framingham Earth Day. 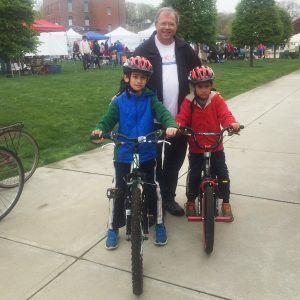 Attorney Reza Breakstone with Neil Cronin and Bob Nedder of the Dedham Police Department at the 2016 Dedham Bike Rodeo. 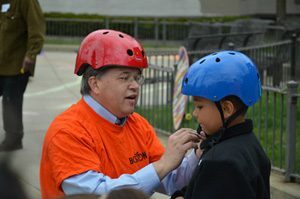 We thank Lexington Police for stepping in at the last minute and fitting helmets for the kids at Discovery Day in May! Attorney David W. White delivered helmets to Norwood Police Chief William G. Brooks III (right) and Officer Paul Murphy (left). Attorney David W. White with Boston Police Sgt. Gino Provenzano. 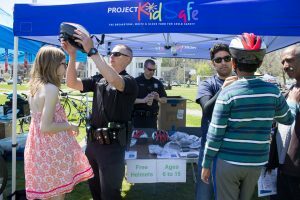 Boston Police received 150 bicycle helmets from our Project KidSafe campaign. 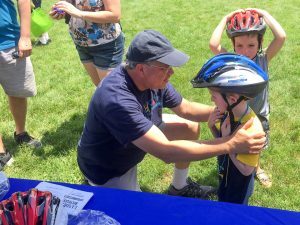 Helmets were distributed at bike rodeos in Dorchester and Hyde Park. Attorney David White delivered bicycle helmets from our Project KidSafe campaign to Randolph Police Commander John Hamelburg and Officer Miguel Cruz. 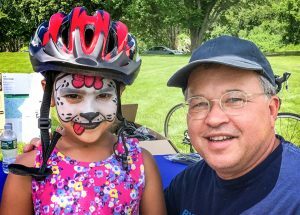 Officer Marianne Manfra of the Somerville Police Department at Bike Safety Day, organized by the Kiwanis Club of Somerville, last June. Breakstone, White & Gluck donated 120 helmets for the event. Attorney David White with Everett Police Captain Richard Basteri, Lt. Mark Zielinski, Officer Joe Gaff, Officer Jeff Gilmore and Detective Jason Leonard. A little farther west, we thank Easthampton Police for supporting us. 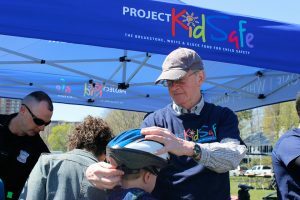 As part of our Project KidSafe campaign, Breakstone, White & Gluck recently donated children’s bicycle helmets in Arlington and Watertown. 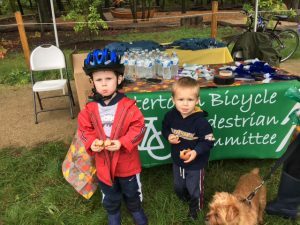 We donated 300 helmets in Arlington, where we have partnered with the Arlington Bicycle Advisory Committee and donated helmets for the past three years. 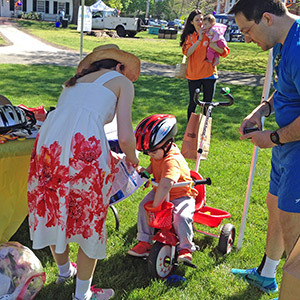 On September 17th, the Arlington Bicycle Advisory Committee distributed 70 of our Project KidSafe helmets at Arlington Town Day. 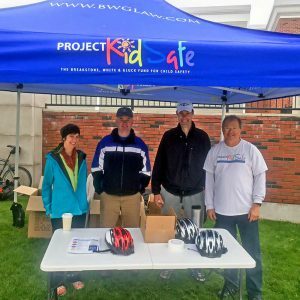 Breakstone, White & Gluck’s Project KidSafe campaign recently donated bicycle helmets in Arlington, Cambridge and Ashland. This has been our busiest year yet and we have been enjoying working with our friends, old and new. Windsor Street Health Center in Cambridge. We recently gained a new partner, the medical students at the Windsor Street Health Center in Cambridge. The helmets will be donated to children who visit the center and need one. 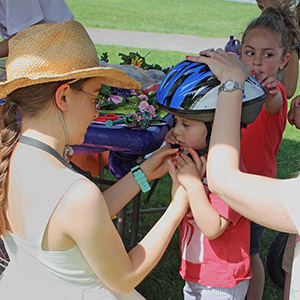 Many families served by the health center will not or cannot purchase bicycle helmets on their own, even after doctors explain the risk of a head injury, said Jonathan Blake Watson, a fourth-year Harvard Medical student who works at the clinic. “It is a wonderful feeling knowing that we will be able to send our young patients home with something that will keep them safe,” Watson said.